CAMERON MACKINTOSH’S MISS SAIGON LOOKING FOR CHILDREN TO PLAY TAM AT CURVE THIS JULY – East Midlands Theatre. 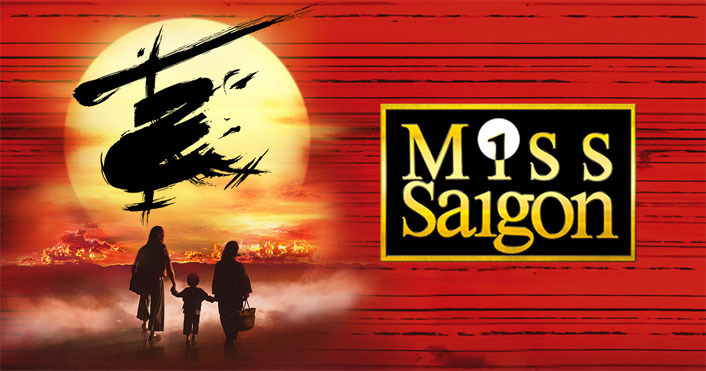 Cameron Mackintosh’s new production of Boublil and Schönberg’s legendary musical Miss Saigon is looking for boys or girls to play the role of Tam when the show runs at Curve in Leicester from 1 – 22 Jul. Children must live within a commutable distance of Leicester and be aged 5 by the end of June. All children must be small, confident and of SE Asian appearance. The role of Tam does not require the children to speak, sing or dance but it is completely integral to the plot. For further information and to apply please email Jo Hawes on joanne.hawes2013@gmail.com including a small head and shoulders photograph or call Jo on 01628 773 048. 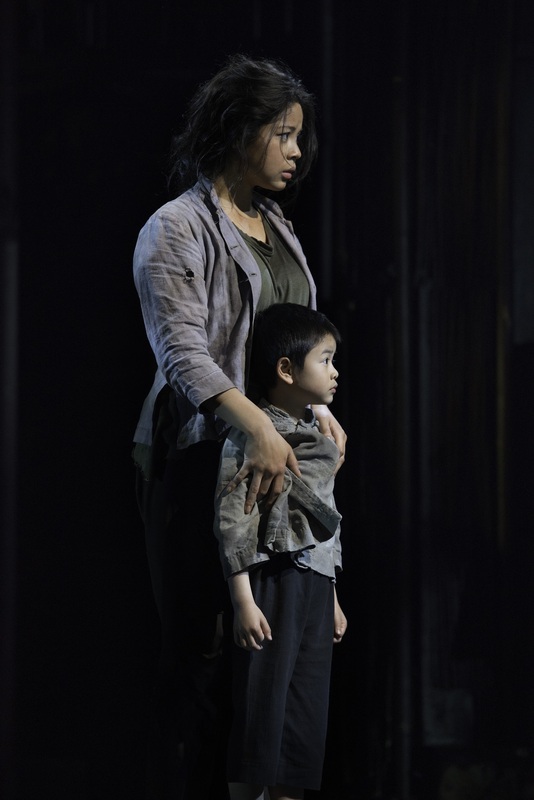 This new production of Miss Saigon opened in London in May 2014 to record-breaking advance sales and critical acclaim. Dominic Cavendish in The Daily Telegraph wrote, “This thrilling new production spills out beyond the theatre and speaks directly to the times we live in”. The show swept the board at the 2015 Whatsonstage.com awards winning a record breaking nine awards, the most awards ever won by a single show in the 15-year history of the awards including: Best West End Show and Best Revival of a Musical. 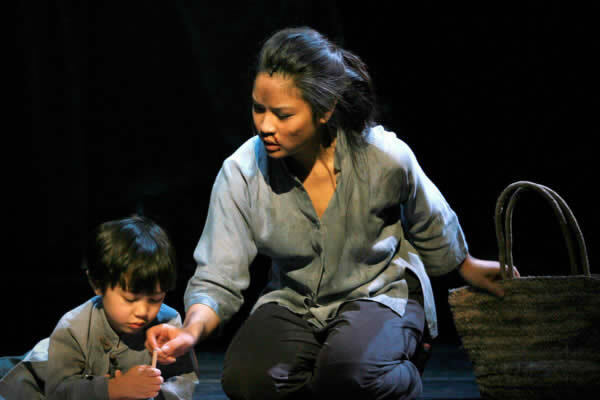 Miss Saigon tells the story of young bar girl named Kim, orphaned by war, who falls in love with Chris, an American GI – but their lives are torn apart by the fall of Saigon. Miss Saigon has music by Claude-Michel Schönberg with lyrics by Richard Maltby Jr. and Alain Boublil, adapted from original French lyrics by Alain Boublil, with additional lyrics by Michael Mahler. The new production is directed by Laurence Connor with musical staging by Bob Avian and additional choreography by Geoffrey Garratt. Production design is by Totie Driver and Matt Kinley based on an original concept by Adrian Vaux; costume design by Andreane Neofitou; lighting design by Bruno Poet; sound design by Mick Potter; and orchestrations by William David Brohn. Since its London premiere in 1989, Cameron Mackintosh’s production of Alain Boublil and Claude-Michel Schönberg’s epic musical Miss Saigon has become one of the most successful musicals in history. The original Broadway production Miss Saigon opened on April 11, 1991 with what was the largest advance sale in Broadway history ($37 million). The show went on to play for nearly ten years and 4,063 performances seen by more than 5.9 million people. Miss Saigon has been performed in 28 countries, over 300 cities in 15 different languages, has won over 40 awards including 2 Olivier Awards, 3 Tony Awards, and 4 Drama Desk Awards and been seen by over 35 million people worldwide. Review: Ballet Boyz. Life. Nottingham Playhouse. Review: The Red Shoes. Matthew Bourne’s New Adventures Company. Nottingham Theatre Royal.